The Silver Cross Wayfarer is back! 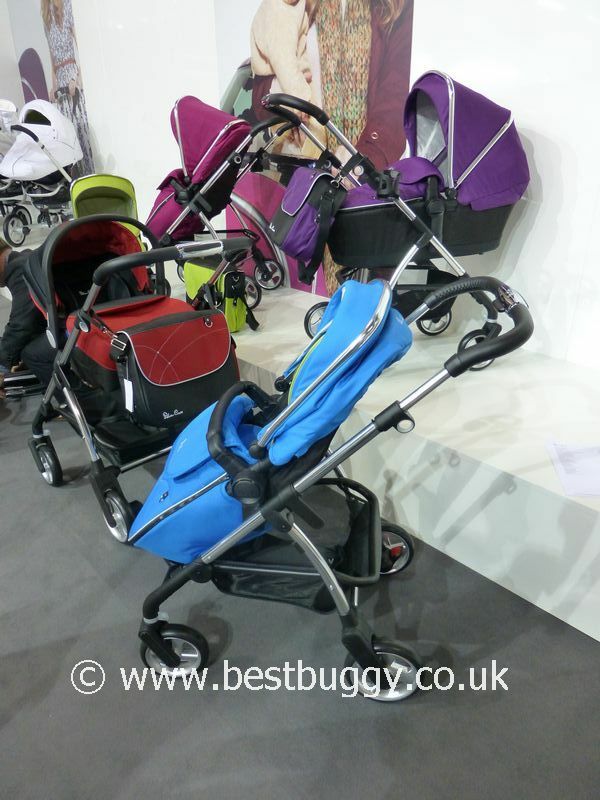 The classic Silver Cross Wayfarer pushchair has been brought into the 21st century for modern parents to enjoy and use. The new Wayfarer is designed to be fun as well as functional, and comes in a choice of seven different colours. 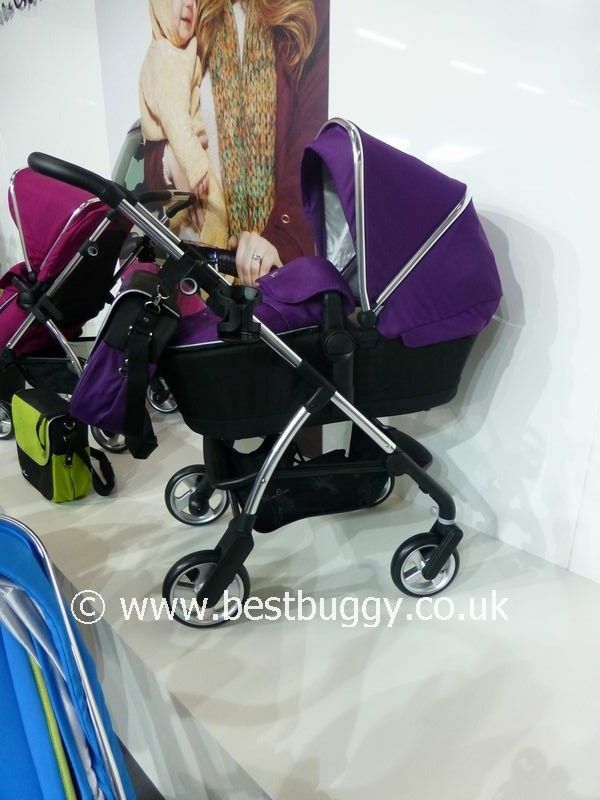 The Silver Cross Wayfarer comes with the chassis, carrycot and the pushchair seat as one package. 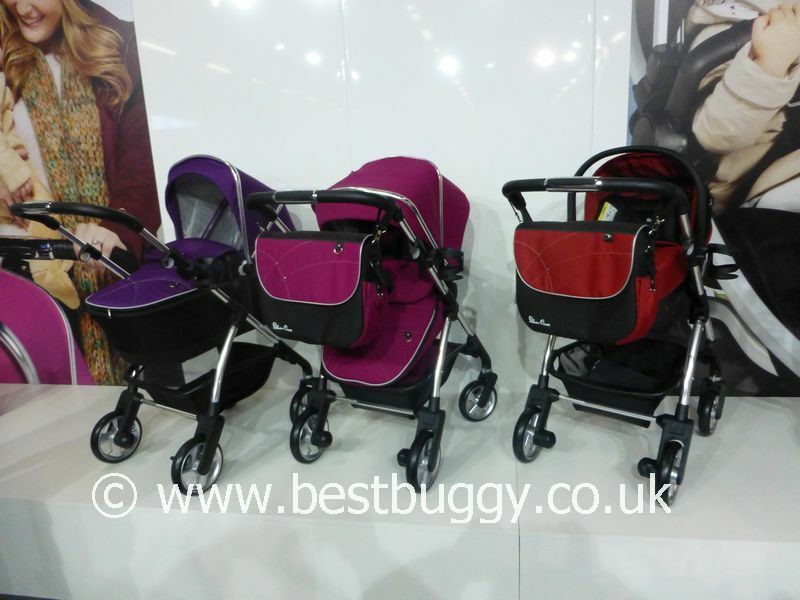 There is the option to add the Simplicity infant car seat to form a travel system. The hood and apron can be bought separately, so that it is easy to change the look of the Wayfarer for a different season, or a new baby. The colours are black, sand, lime, sky blue, raspberry and damson. First impressions of the Wayfarer were very good although we had fun and games undoing the apron on one pushchair to try and see what the footrest area was like! The footrest is fixed ie non adjustable. The Wayfarer seat can forward and parent face. The seat back we measured to be 52cms tall. The seat is 22cms deep with the liner in, and is 30cms wide at the back of the seat. The seat recline is one handed. The handle adjusted to approximately 106cms tall. There appears to be excellent all round suspension. The Wayfarer folds in one piece forward facing. 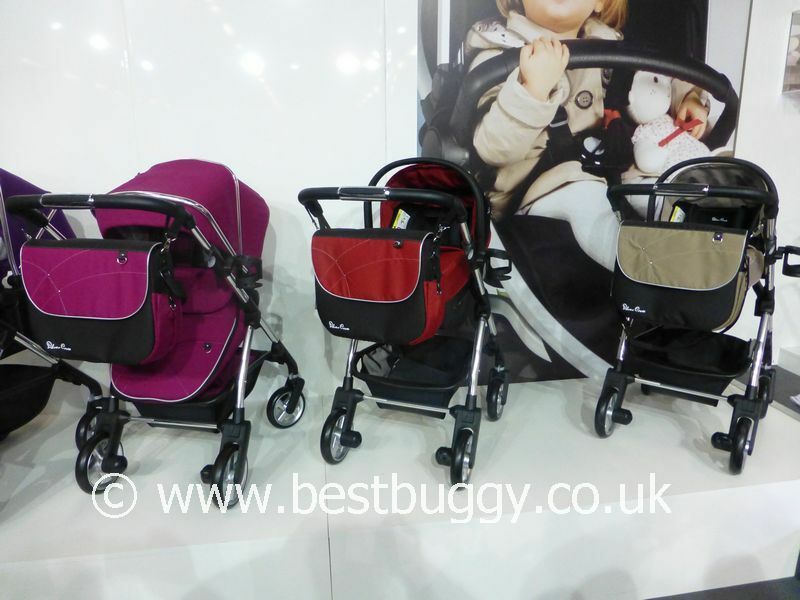 The Wayfarer is quite narrow for a pushchair at just 53.5cms wide. 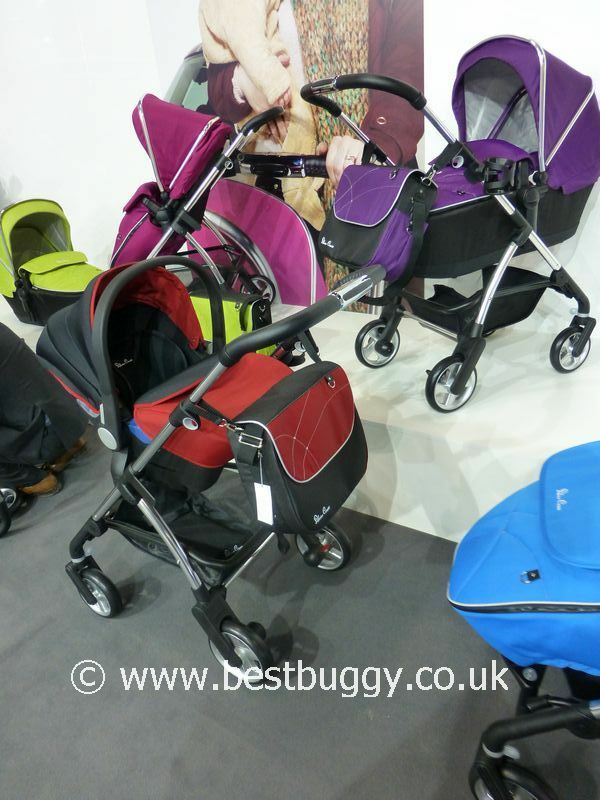 One of our team thought that the Wayfarer would make a good alternative to the Bugaboo Bee for anyone wanting a neat but practical pushchair, especially for public transport. 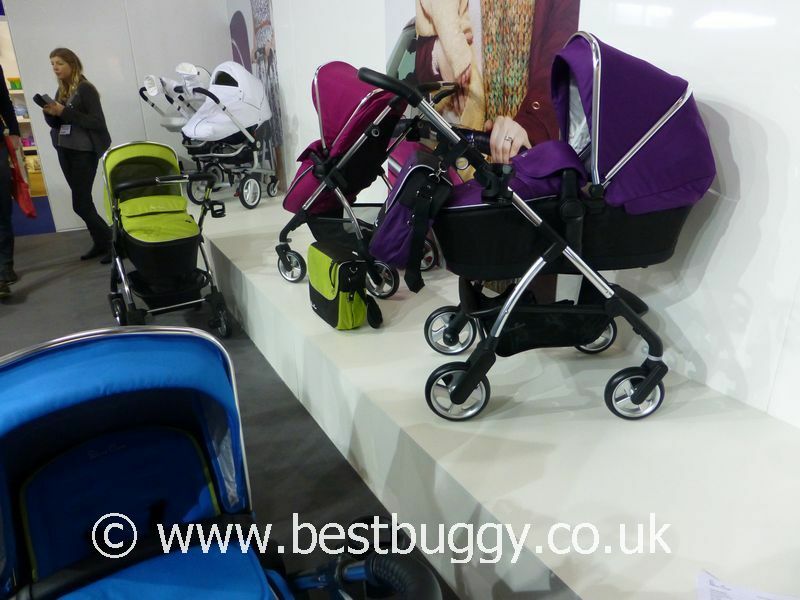 The carrycot was beautifully lined and seemed to be a generous size. 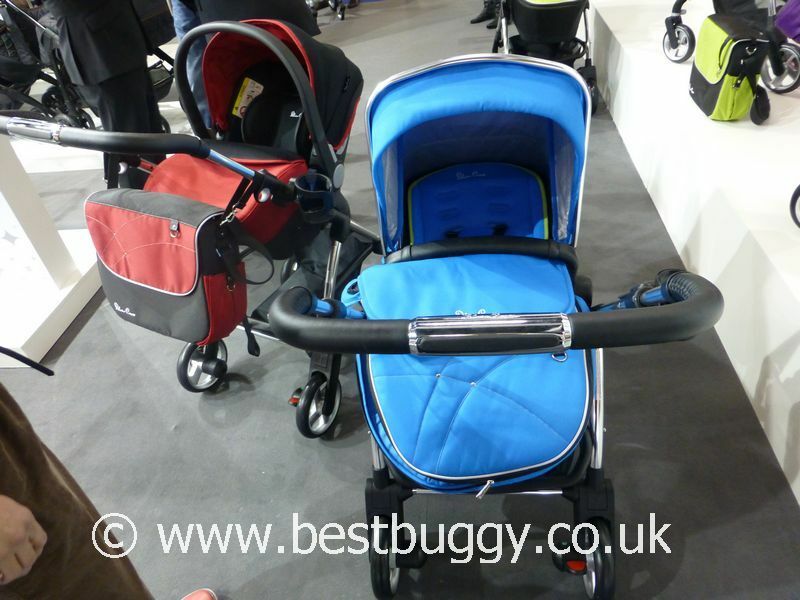 We measured the carrycot useable space as being 68cms long by 29cms wide maximum. We like the attention to detail including the chrome hood ribs, the leatherette handle and the good quality fabrics. We couldn’t quite work out thought why there is a loop for toys on the outside of the hood, and not on the inside! 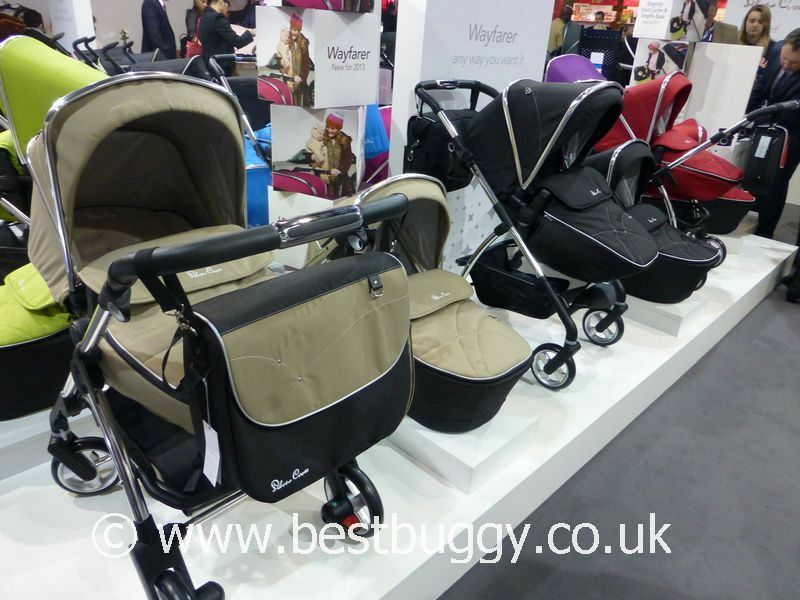 The Silver Cross Wayfarer retails at £395 – chassis, seat unit, carrycot, cup holder, raincover, Simplicity adaptors. The Wayfarer Hood and Apron pack costs an additional £100. A matching seat liner costs £30, and the matching bag is £40. The parasol is £30 and Maxi Cosi car seat adaptors are £30. Please note that one of the folded photos was us trying to see if the Wayfarer would fold parent facing. As the photo, shows, it does not fold neatly with the seat left in situ parent facing!